In 2013 the United Nations Children’s Fund (UNICEF) published a report on the potential and challenges of ICTs in advancing the rights of girls and facilitating their engagement and participation for social transformation. The report highlighted many advantages such as access to knowledge and information, connection, efforts to overcome violence, exploitation and abuse. 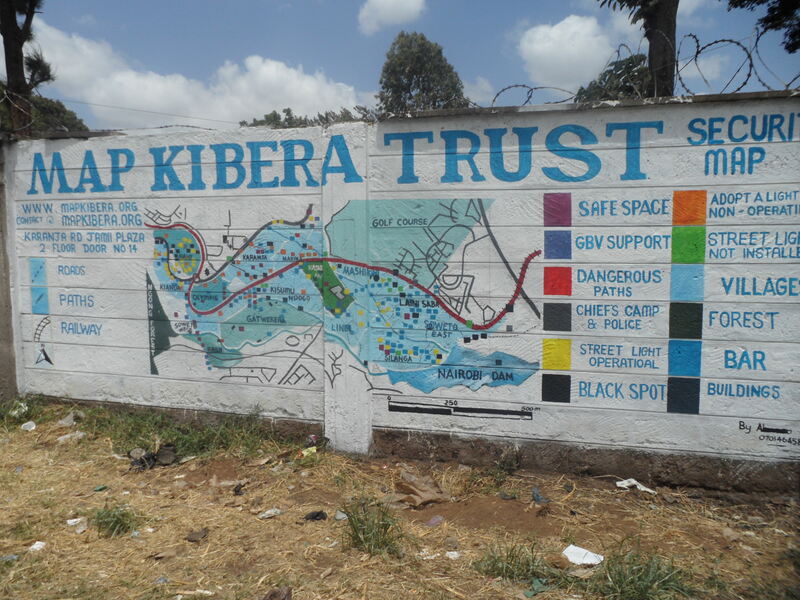 One of the projects included “Map Kibera” which enabled awareness about surroundings via digital mapping. Girls were equipped with Geolocation devices to map and identify safe and unsafe places in Kibera, a large slum area outside of Nairobi, Kenya. Even though there exists a printed version of the map, critiques pointed out that the project is heavily driven by technology and the “work on the ground” could not keep up. The Jokko initiative was launched by Tostan in partnership with UNICEF, which aimed to combat illiteracy while initiating social mobilization and exchanging ideas through text messages. According to the report there was no special focus on girls, although a large number of adolescent girls took part. One of the project managers at Tostan, Guillaume Debarin commented “you can’t just parachute technology into a village and think that it’s going to fix things”. Youth Empowerment through Arts and Media (YETAM) is an initiative by Nokia, Plan International, and local partners that seek to give youth the skills and tools to communicate at local, national, and global level about issues impacting on their lives through technology, arts and media. A prerequisite for participation was literacy. The project has been implemented in 2008 by 6 African countries and even though both girls and boys were included, a key outcome of the project was that girls assumed the role of group leaders, developing the confidence and skills to use technology and speak out publicly. Limitations to the project included lack of technology as “the Internet could be really slow” and schools also had a limited amount of computers (UNICEF, 2013). Additionally language and illiteracy, parental attitudes and tradition were hard to overcome and in rural areas physical distance proved to be a barrier for some girls. According to a report by Spratt and Baker the risk is that inequalities are increased by the application of big data, with those that can afford the improved interventions benefiting accordingly. Bringing education to those that previously did not have access is a good thing of course, but if the quality of the education received by the relatively wealthy also increases, educational inequalities will remain pronounced (Spratt & Baker, 2015). What happens when the digital world of 2.0 meets the 1.5 world of development policy? Sure there is unprecedented potential in the advances of technology, but it has to be relevant and applicable to the audience as well. Digital data protection is not yet a concern for a majority of governments in low and middle-income countries (Greenleaf, 2012) and I had a hard time finding any comments or findings about this particular aspect in the UNICEF report. Spratt, S., & Baker, J. (2015). BIG DATA AND INTERNATIONAL DEVELOPMENT: IMPACTS, SCENARIOS AND POLICY OPTIONS. Institute of Development Studies . Actions performed via the Internet in support of a political or social cause but regarded as requiring little time or involvement, for example signing an online petition or joining a campaign group on social media (Oxford University Press, 2017). The ultimate measure of success is the outcome. How does online versus offline activism result in social change? There is scarce but an increasing number of research done on the actual effect of slacktivism or online activism and what possibilities the Internet can have when it comes to recruitment and fundraising. The Internet has provided us with an unprecedented opportunity for information flow (Sparrow, Liu, & Wegner, 2011), social influence (Bond, 2012) and democratic revolution (Allagui & Kuebler, 2011). A study published in the Sociological Science showed an inverse relationship between broad online social movement mobilization and deep participation (Lewis, Gray, & Meierhenrich, 2014). The data presented results from a period of almost 3 years looking at the Facebook application of Causes with an empirical focus on the conflict in Darfur. The study quoted Donovan and Henley stating Facebook is less useful a mobilizing than a marketing tool, which proved to be the case here as well. Although 1 million people registered for the cause in the aforementioned period, the total amount of donations barely reached $100.000, supporting the notion of “fast growing support and diffusion of protest through the Internet is followed by an even faster decline in commitment” (Laer, 2010). Otherwise socially minded participants have little incentive to contribute because they assume that the millions of other members will (Oliver 1984). Kony 2012 was published on YouTube 5 years ago and up to this date has been watched more than a 100 million times. Joseph Kony was accused for war crimes and crimes against humanity by the International Criminal Court in The Hague, Netherlands in 2005. He is still on the run. I think it is fair to say that the initial hope to set off social change combined with the possibilities of the Internet is questionable. Did we have too high expectations to what the online sphere could deliver? What is considered a success when engaging in protest for a particular cause? Raising awareness? Recruiting members to a community? Hard cash? The ultimate measure of success is the outcome… Success in my mind is when the will of the majority is represented in changing the direction of course for a social cause. Allagui, I., & Kuebler, J. (2011). The Arab Spring and the Role of ICTs. International Journal of Communication , 1435-1442. Bond, R. M. (2012). A 61-million-person experiment in social influence and political mobilization. Nature , 295-298. Guo, C., & Saxton, G. D. (2014). Tweeting Social Change: How Social Media are Changing Nonprofit Advocacy. Nonprofit and Voluntary Sector Quarterly , 57-59. Laer, J. V. (2010). Activists Online and Offline: The Internet as an Information Channel for Protest Demonstrations. Mobilization: An International Quarterly , Vol. 15, 347-366. Lewis, K., Gray, K., & Meierhenrich, J. (2014). The Structure of Online Activism. sociological science , 1-9. Sparrow, B., Liu, J., & Wegner, D. M. (2011). Google Effects on Memory: Cognitive Consequences of Having Information at Our Fingertips. Science , 776-778. Unusual events are more interesting, hence they manage to be in the headlines… The fact that the usage of a music streaming service would be banned in its actual birthplace is in itself paradoxical, yet probably more attention would be paid in today’s world of “info dump”. Of course the title is fake news, no such plans am I aware of to the service now reportedly used by 100 million subscribers including me. This story began while I was on my way home from work listening to music randomly suggested by Spotify when a mellow, female voice accompanied by an acoustic guitar transported me somewhere peaceful in the middle of a cold winter night in Sweden. I could not understand the lyrics, as she sang in a language foreign to me, but somehow the voice was so captivating, I wanted to know more. 0,80 seconds later I learnt that she was born in Ivory Coast to Malian parents. As she refused to attend school her parents sent her at the age of 12 to live and be disciplined by an aunt in Bamako, Mali. The aunt was an actress and she’s suddenly became surrounded by a creative world landing her a lead role at the age of 18 in Dani Kouyaté’s popular 2001 film Sia, The Dream of the Python. The movie tells the story of a West African legend called Sia, a young girl who defies tradition. Pressured by family to settle and get married, she fled to Paris to pursue a career in acting. During breaks while rehearsing she sang for her own amusement backstage and later on picked up the guitar: “To me it was a wonderful and daring thing: a Malian girl with an acoustic guitar. Why should the guitar be only for men?”. Her debut full length album was released in 2011, where she sings in her native language of Bambare. Her name is Fatoumata Diawara. Her voice is delicate, yet the lyrics are powerful covering a range of topics from war, abandonment of children, lives lost on sea while fleeing to Europe in Clandestin to female genital mutilation in song titled Boloko. What do you know about Mali? Well, the landlocked West-African country experienced rapid economic growth after the 1990s, coupled with a flourishing democracy and relative social stability. In 2013, France intervened militarily upon the government’s request following the capture of the town of Konna and its troops overran Islamist strongholds. The north remains tense, however, with both Tuareg separatists and Islamists sporadically active. Mali is renowned worldwide for having produced some of the stars of African music, most notably Salif Keita. The country made headlines recently when Islamist radicals took hostage 170 people in the capital, Bamako at the Radisson Blu hotel. The terror attack has left 22 people dead. Over the past two years, extremist groups have used Mali as a staging ground for attacks on hotels, beach resorts and restaurants in West Africa. “Women were whipped for wearing clothes deemed indecent, and thieves had their hands cut off. But the militants also banned music in a culture where griots, praise-singers and story-tellers are of great importance, and where music is considered the lifeblood of society”. A well-known music festival, Festival au Désert was coming back to Timbuktu this year after years in exile, but officials blocked it last minute over security fears of an al-Queda attack. The film Timbuktu captures the everyday life of this region with amongst others, music being banned and people punished for listening to it, while in another moment a couple gets stoned to death for adultery. Fatoumata plays the singer who secretly plays a guitar and sings with friends at home, while we follow how they get captured, sentenced and later on punished. She also contributed with the soundtrack of the movie titled “Timbuktu Fasso”. While it’s hard to imagine music being taken away and regarded as a sin, it is happening in some parts of the world. How do you translate Roskilde Festival taken away from the Danish audience? And what happens if you succeed? Does it transform from thought to something else?